Ashley Kang interviewed Invictus Gaming’s Rookie and Jackeylove on their resolutions on Worlds, how their losses against the team’s arch-nemesis Royal Never Give Up changed their outlook of the game and how they predict to perform in Group D against Fnatic and 100 Thieves. Rookie, this is your first World Championship since 2015. How does it feel to be back at the biggest international stage? Rookie: We have been defeated by RNG right before we qualified for Worlds. 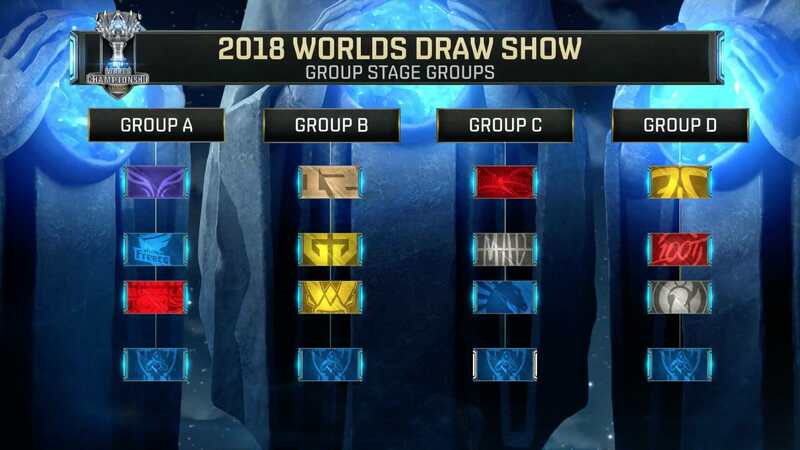 We had already won our ticket to Worlds by winning against JDG, but it would have been a better scenario for us to qualify at Worlds by winning LPL. I’m bittersweet. Jackeylove, this is your first World Championship. Jackeylove: I have qualified for Worlds in my first year as a professional player. I’m looking forward to it; I want to do well. At LPL Spring Split this year, iG was defeated by RNG at Semifinals at a 2-3 match score. Rookie, you burst into tears on the camera; Jackeylove, you left a long heartfelt message on your Weibo. Looking back, how do you feel about your defeat against RNG? Rookie: I’ve only cried when I’ve felt like I’ve let the team down. When we lost Game 5, I had felt that I ruined the game for my team. I was overwhelmed with regret. Jackeylove: Up to that point, we were very confident in ourselves and our playstyle; win all lanes and finish the game before the 30-minute mark. AT RNG, our winning formula of winning all lanes and the early game broke down. We became hasty; we had mental issues. That led us to address the issue during Summer Split. We learnt how to overturn even a game we don’t have a lead on. During 2018, a common criticism on iG was that the team is powerful during the regular season but performs poorly at best-of-5s. Rookie: We have reflected on our failings at Spring Split and used it to motivate us to progress as a team. We do have issues to resolve. We’re not strong mentally, and maybe don’t deserve to win LPL just yet. However, that being said…I was happy about the best-of-5 against RNG. Even when we were losing on 2:0 we put up a fight and almost took the match around. It’s a sign that we are mentally becoming more resilient. We are also getting our teamwork and synergy together. We’re not perfect, but we are moving forward. Jackeylove: During the regular season, we didn’t have as much pressure to perform. At Playoffs, however, one mistake can make us lose the bo5 and eventually the entire Playoffs run. I think we had mental issues. Our performance has been the process of us improving these downfalls. 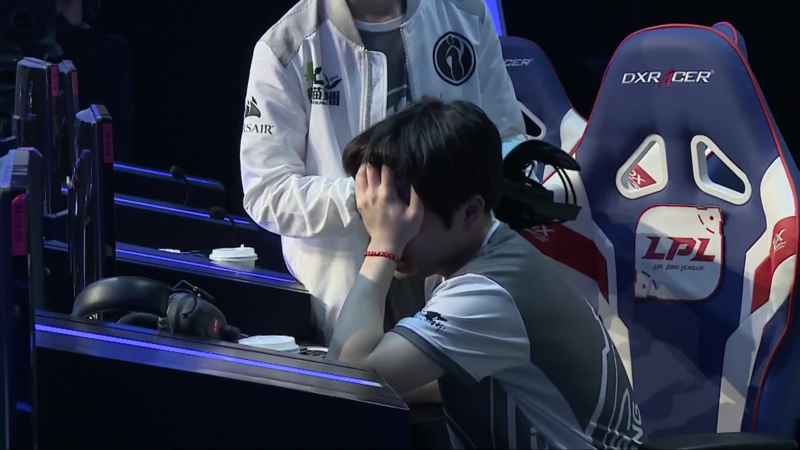 You must both have some regret about the LPL Summer Split finals when you lost 2-3 to RNG yet again. Rookie: Even though we lost, we gritted together as a team and came back to win Game 3, then Game 4, regaining our confidence. I even got a deja-vu of my KT Rolster days, reverse-sweeping best-of-5s. Then came Game 5. The coaches lead the bans, however, us players are responsible for the picks. We didn’t predict the Nocturne pick from the opponents, and I wasn’t able to come up with a good counter-pick in the 30 seconds given to me. I resorted to Jayce but wasn’t able to execute the things required from that pick such as lane advantage. Jackeylove: In our two most recent best-of-5 matches with RNG, we lost 2-3. In our most recent match, however, we were able to come back from 2-0 and equalize the score to 2-2, which is encouraging. As Rookie has said, my biggest regret is not being able to counter RNG’s Nocturne pick. Jackeylove, this was the first year where you had your age restriction removed. You’ve played in both Rift Rivals and Worlds. It would feel special to achieve so much in your first year playing professionally. Jackeylove: It was my first year, we’ve reached the LPL finals, and won Rift Rivals. I don’t think it’s been a bad year for my first year as a professional player. Rookie, your former team, KT Rolster, has made it to Worlds. 100 Thieves have Ssumday and Ryu, both once members of KT. Mafa, you; it looks liek all the former members of KT are now assembling in this year’s Worlds. Rookie: At Season 5 World Championship, something similar had happened. It does feel like there’s some fate that ties the KT players together. KT Rolster’s old man Score promised to dye his hair red when he starts playing for Worlds. In 2018 Rift Rivals, you suffered a defeat to KT Rolster. What are your reflections on this? Rookie: KT played well. We also made our own mistakes, but it felt like KT Rolster as a team were at a tier above us. iG tends to slip when it comes to macro, but KT Rolster made almost zero mistakes when it came to macro. They really knew how to snowball; we don’t have experience with playing against a team at their level. Also, iG don’t have veteran players other than me and Duke-hyung. When the enemy team pulls out a surprise pick or a strategy, we have a difficult time reacting to it. Our lack of experience was our biggest failing on that day. KT Rolster were just too good. Jackeylove: I don’t remember exactly, but I do believe the opponent’s bot lane was Vel’Koz-Shen. It was a surprise pick; it was a good pick, and we weren’t able to counter it. Vel’Koz has a strong lane clear awhile Shen can impact the map with his ult. It was unfortunate that we could not end the lane phase in time. Kim Jung-Soo, the former coach of Longzhu Gaming, joined iG. What impact did this move have to iG? Rookie: We now have two coaches, which has become a norm when I look around at other teams, too. It’s good to have an extra head that I can discuss picks and bans with. The coach also hangs out with us players; he’s like an older brother. iG, before, was in a bit of a mess, and he was able to introduce order among us. Also, because he’s from a team with macro, he was able to teach us how to resolve our macro-related issues or best ways to counter different unexpected situations. It’s because of our coach help’s that we were able to improve compared to the Spring Split. Jackeylove: I agree with Rookie. You’ve been assigned Group D, sharing the group with 100 Thieves and Fnatic. How confident are you on coming out first place out of the Group? Rookie: I’d say that our group is “breathable”. However, I remember my previous Worlds at Season 5. We had also drafted a relatively easy Group; however, we unexpectedly lost to too many teams and were eliminated. iG had good performance within China, but we’re yet to be tested with playstyles of, and match-ups against, international teams. If we do well, we can come out as the first place, but also the second place or be eliminated. It will all depend on how well we perform. Jackeylove: We’ve been assigned to a better Group compared to other teams. EU and NA prepare and execute a lot of new strategies in advance, so we have to be wary. We, as a team, are weak against surprise picks, so as long as we know how to counter against these things, I’m confident not to lose in the lanes. Fnatic has Caps, the prodigy of EU who’s dubbed “Baby Faker”. How do you think you’re going against Caps? Rookie: Caps is showing up for every Worlds that I wasn’t there for. When I watched his matches at last year’s Worlds, I didn’t feel that he was that good of a player. However this year at MSI he showed stellar performance against RNG on Yasuo. Every match, he had good things to show, so we’ll have to on our toes. I’m not scared of Caps; I’ll just have to revise Fnatic’s matches and learn how Caps plays. When that happens, I’m not too worried. How about you, Jackeylove? Fnatic is also bringing Rekkles, one of the top ADC players in the Western world. Jackeylove: I got destroyed by RNG’s Uzi at the LPL Summer Split finals. I have these experiences, so I think I can beat any ADC other than Uzi. Rookie, you’ve always stated Faker as your idol. Rookie: I’m so regretful that Faker won’t be attending Worlds this year. I like him; he is the role model of all mid-laners. I – as would have been for many players – played professionally, dreaming of one day overtaking Faker’s legacy. I watched LCK Regional Qualifier, the SKT vs Gen.G game (Where SKT lost) I think Faker played well, but there were some team-wide issues. Rookie: It’s good to be called the best mid-laner, but…I’ve also been told that a lot in China. I’ve never won the LPL and even missed a few semis, yet they continued to call me the No.1 mid-laner in LPL. It’s something that I want to neither accept nor deny. I’m thankful but also apologetic; I must follow up people’s praises with results, which hasn’t always happened. However, perhaps I have indeed played well for other people’s eyes if people are to say such positive things about me. What are some of the teams that you are especially wary? What are your ultimate goals for this Worlds? Rookie: The teams that I am watching out for are RNG and KT Rolster. I cannot help it. All the titles we’ve competed for this year were taken away by RNG. If I have a personal wish, I’d like to meet RNG at the finals and win. As of KT Rolster, it’s my old team and they are good; (their power) is intimidating. As of my goal, I’d like to say winning Worlds but for now, I’d say Semifinals. This goal may change depending on how we do at Semifinals. For now, I’d like to come out of Group D as first place, safely progress to Semifinals and show good performance there. Jackeylove: I’m wary of RNG and KT. These are the teams that we will inevitably match at the top of this league. Semifinals is the minimum; the goal is the finals.